My first blog post for 2019 is an updated festival guide for Pongal festivities. I'm trying to adopt a new format for complete festival guide. Hope you like it! Farmers pray to Indra and Surya (sun god) for rain and bountiful yield. Bhogi is celebrated on the last day of tamil month of Marghazi. Its the day where we get rid of the old and unwanted items (think spring cleaning) in the house. It also symbolizes that we shed the unwanted thoughts from our minds. Pongal (Thai Pongal) is also called Makara Sankaranthi, since it is celebrated on the first day of the tamil month Thai when the Sun enters the Makara Rasi. This period is referred to as Uttarayana Punyakalam (start of sun's 6 month journey northwards) and is considered auspicious. Lord Surya (The Sun God) is worshipped on the Pongal day. So, our elders make a kootu with all vegetables and pray for family unity. Kanu is the 3rd day of festivities during the pongal week. This falls on the Maattu pongal day. This day is an important festival for the unity of brothers and sisters. Sisters pray for the welfare of their brothers. Gifts are exchanged as a mark of their unity. Cattle are decorated and jallikattu race is conducted all over Tamil Nadu. Bholi / Poli is a must on the day of Bhogi along with General Pandigai Menu. In our house, Kadala Paruupu bonda is also made. In Tamil Nadu, a simple ceremony - "Kaapu Kattu" is performed in all homes on Bhogi day. Neem leaves, mango leaves and Poolai Poo are tied together and kept along the walls around the house to eliminate evil forces. This Kolam was drawn by my friend, Radhika. 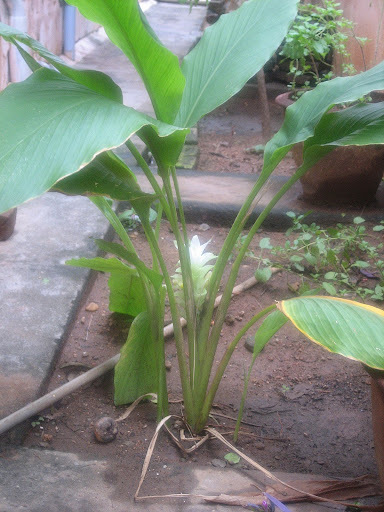 The "pongal panai" is to be decorated with "Tiruman, Srichoornam" and fresh turmeric harvested, a piece of sugarcane, flowers and plantain, tied to a rope. We are not supposed to grind in traditional "ammi" and "kallural"(mortar and pestle), not asked for the reasons though. Sarkarai (sweet) pongal(made in vengala panai), Vennpongal, Sankaranthi Kootu, Pongal kuzhambu along with general pandigai menu. Prepare red rice and yellow rice with leftover rice, using turmeric and kumkum. 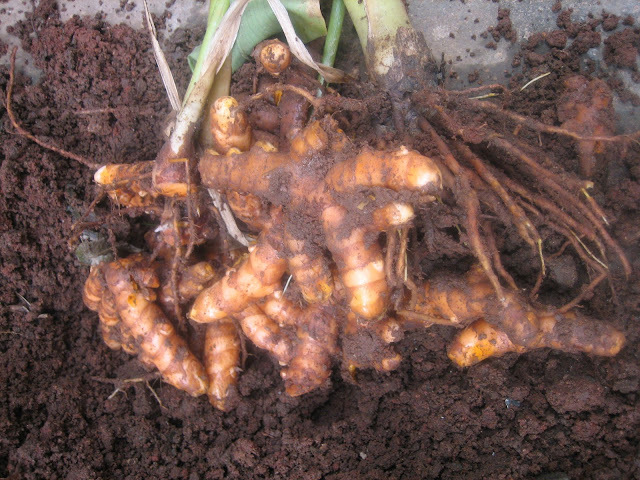 In the early morning, fresh turmeric is marked on the forehead of ladies and unmarried girls, by the gents and elders seeking their blessings for "sowmangalyam" and "to get a good husband" respectively. and it is offered along with the tamboolam and sugarcane to the crows and Sun God. Finally, arati is performed with turmeric water and limestone (praying for the wellness of brothers) and this water is poured on the kolam in front of the house. RASAM IS NOT MADE ON THIS DAY. Variety rice(i.e.) Coconut Rice, Lemon Rice, Puliyodharai, Curd rice, Payasam and Aviyal are made alongwith poricha appalam or Vadaam. Lovely post..Very informative.Loved the pics esp the kolams. My pongapaanai is also similar to yours. Advanced Pongal wishes to you and your family. A Happy Sankranti pongal to u too.The pictures r nice and very informative post. Very informative and beautiful post, missing it eventhough we guys celebrate pongal here, advanced pongal wishes to u and ur family.. Very useful and informative post..Love the way of explanation.Very nice pictures.Thanks Akka..Happy Pongal to you and your family!! thanks a lot... my mom told me over phone however I was not really able to connect. With these pictures I make out what my mom meant. useful post and happy pongal to you aunty..
A very informative post! Beautiful pics! A very lovely and informative post. Thank U very much. Love the Kolams very much. How are you ? and Happy New year! I learnt the details about the festival as celebrated at your end. Thank you so much for the post. I am going to make the sweet Pongol from your recipe to celebrate. I really do have tears in my eyes! I miss my mommy and home! I miss pongal at home! lovely post..v informative......lov ur recipe too! Complete guide it is - exhaustive compilation ! Great effort and I am so glad that I follow your blog ! Some of the people use plain white rice instead of curd rice for pidi. Is it ok? Very useful and informative post..Loved the big rangoli and pongalpot. Very informative and nice explaination. Very informative post Aunty,brings back memories. Lovely post shanthiji, I was writing a similar posts remembering things I used to do back in India hoping to post soon :), of course definitely not with all those photos!, No Kolam, no vangala panai, no turmeric leaves :((, Seeing all these I feel running back to bangalore! want to celebrate Kanu festival in Amma's house!, But you have done a good job dear, Beautiful clicks.., A very Happy New year and Happy Pongal wishes to you and your family. what a nice and informative post! nicely compiled. Wonderful presentation Shanthi...love d beautiful clicks ...! Mami chanceless!! Very very useful post!!! I love reading your blog and learning about Indian culture and celebrations. Thanks so much for such wonderful and informative posts. Happy sankranti pongal! Maami - wonderful post. Naan appadiye India vandhu kondadina madhiri irukku. You don't know how much seeing these pictures mean to us people sitting here and missing all the authentic action! This is such a awesome post..love love love it a lot..beautiful kolam. WIsh u and ur family HAppy pongal !! !by the way all the pictures are so divine. A wonderful post and quite interesting and informative.This is the time when all over India people celebrate this festival in different ways.For instance on Makar sankranti in Bengal, Bengalis get down to making sweets with rice flour. Such an exhaustive and lovingly put together post,wow.You are a genius. Thank you very much for this resourceful post. All my sisters are in India and I do not get to celebrate Kanu pandigai with them. I kept on forgetting the second phrase of the song. Your post made me remember it. Happy Pongal to you and your family. Such an informative post.. very nice.. and those kolams look so awesome.. nice song for unity.. i havent seen or heard anything like this till today.. such practices are soon disappearing.. very sad.. Awesome.. Wonderful presentation Shanthi. I just happened to be here searching "Bhogi". It is predominantly a festival of Telugu people. PONNU KALYANAM PANNINDU PONA KOODAVE ORU LAPTOPUM UNGA BLOGUM SUGGEST PANLAM.AZHAGA NAMMA SAMPRADHAYATHODA PAZHAKKANGALODA PHOTO POTTU THALIGAIYUM POTRUKKEL.VERY INFORMATIVE.THANX.HAPPY PONGAL TO U TOO MADAM. A Wonderful and informative post!Enjoyed reading the minute details. I have published a post on Makar Sankranthi today! Very informative post... Actually I don't even know most of the things you have mentioned in your post.. I'm bookmarking it for next year.. Thanks for sharing.. Thanks Shanthiji for writing such an informative post. Belated Pongal wishes to you and your family.